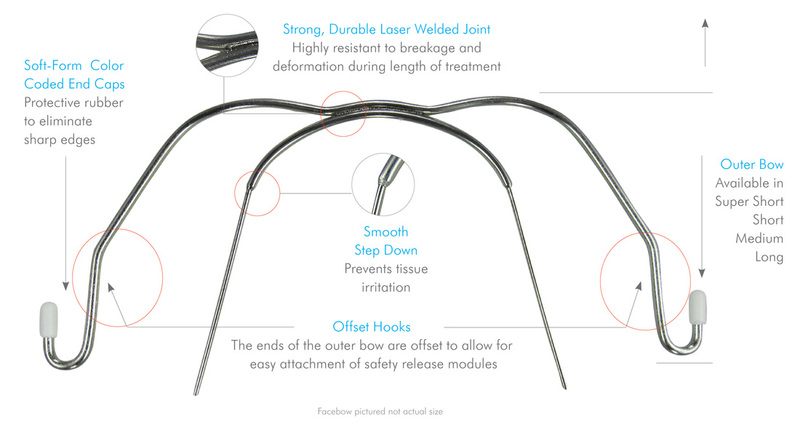 Created by superior craftsmen, all adenta’s face bows feature a laser welded connection for strength and durability, helping to resist breakage and providing your patients with an attractive joint. Reinforced tubing is used to add to the strength, and all wires are pre-cut, de-burred, and covered with a rubber cap to reduce the chance of the facebow getting hooked. 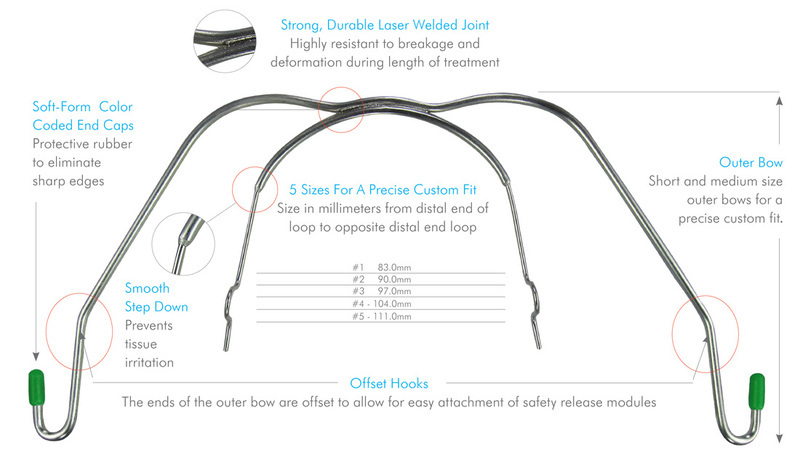 The outer bow has been specifically designed to avoid the frontal cheek area.